In any industry, if you’re not moving forward you’re falling behind. In the world of plant sanitation, this is true now more than ever, given the heightened USDA and FDA attention on food safety. Hundreds of food processing corporations and their plant managers across the nation are experiencing great success in partnering with PSSI to help them continually optimize and increase the efficiency and performance of their brand’s contracted sanitation program. Our Optimization and Continuous Development (OCD) partner approach contains four components to ensure the most successful sanitation and food safety value and outcomes for our customers. Our optimization process starts with assembling the right people. 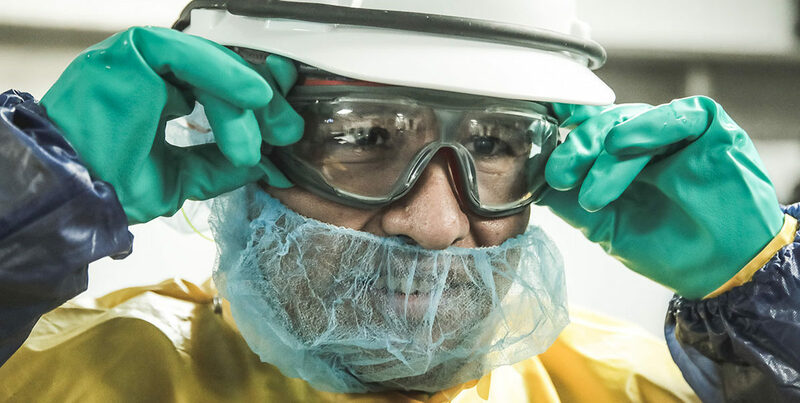 We appoint a cross-functional team of plant sanitation, engineering, safety and food safety experts to ensure that all elements of a plant can be properly assessed. One of the keys to all of this is partnering with our customers at an early stage. Our breadth of expertise is an advantage to the success of their customer’s program. The next phase is a thorough assessment, absolutely critical to ensure optimal efficiency. The team interviews customer management to identify pain points. Direct plant observations enable detailed analysis of workflows, staffing and resources. Our team takes this information and uses it to address gaps and suboptimal resources, such as water pressure/temperature, configurations, drain infrastructure, detergent applications, condensation management, etc. The team evaluates the sanitation window. If our customers can benefit from more production time, we look for ways to shorten the sanitation window without compromising results. Everything is documented on a master checklist to prepare for action. Our team creates an action plan that specifies and prioritizes all efficiency and savings opportunities. It also covers investment quotes and payback analysis with mutual agreements made on savings and returns on investments. We focus on delivering the highest quality sanitation process and addressing identified plant needs. A cadence of follow-up assessments are scheduled to ensure continuous focus on optimization and follow up. The final phase is to implement the specific plan. As the plan is executed, it’s important to keep open lines of communication with key plant managers and personnel to ensure transparency, accountability, focus, and a strong working relationship. This step includes benchmarking and verification of mutually agreed upon deliverables and results to ensure plant managers have access to information they need for leadership. Our team uses real-time, results-driven KPI dashboards that provide visualization of key sanitation and food safety indicators, such as release times, inspection results, water pressure, water temperature, water usage, and chemical titrations. The reason for all of our optimization efforts is to maximize the value PSSI can bring to our customers and to achieve results they can count on. The most important metric is worker safety. We’ve seen our efforts result in lower OSHA recordable incident rates. Plus, optimization and continuous development increase employee satisfaction. Our customers are happier too. They’re seeing a lower cost per man hour. Our eight-step process includes documenting all sanitation procedures, including the chemicals used. We maintain those records on behalf of our customers, which protects them from any potential legal issues and assists with more accurate and credible audits. At the end of the day, when we see measurably improved customer satisfaction, we know we’re doing something right.